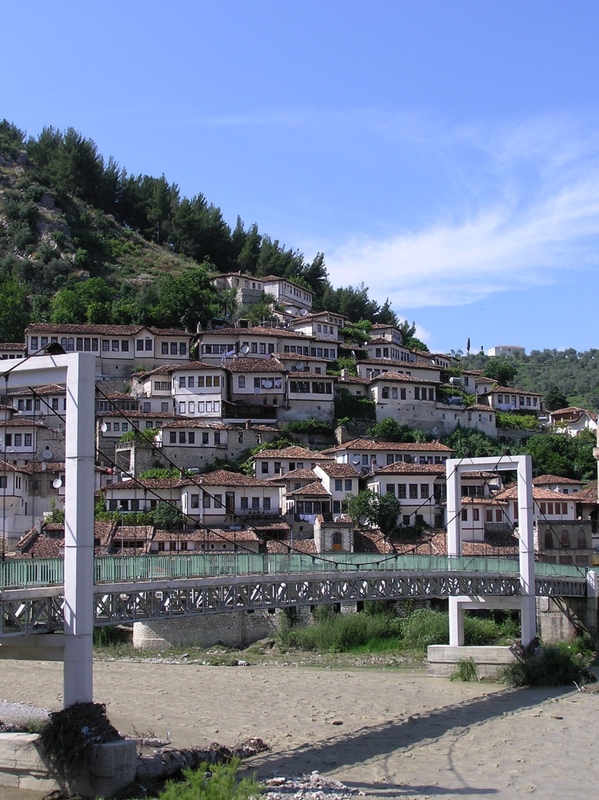 Berat is “the white city” in Albania. Striking in its appearance, the quarters of the castle on top of the hill, the old part of Mangalem at the bottom, surrounded by the communist era cultural buildings and apartment blocks, all held together by the river flowing around – and with Mount Tomorri towering behind. Before it became an UNESCO heritage site, the majority of people living in the old houses preferred to move out – in one of the apartments that sprung up in new high rise buildings outside the communist “new town”. Even if of bad qualitiy, they promised much more comfort than the old dwellings, which were often in bad need of repair and lacked proper sanitary installations. To a visitor from outside – what a nice smell of wood fire there is in the narrow lanes during the cold season! But then again – would I want to make a fire first thing in the morning, or after a long working day, when temperatures are freezing? Oh yes, once there is a central heating in, life in the old houses is a whole different thing! 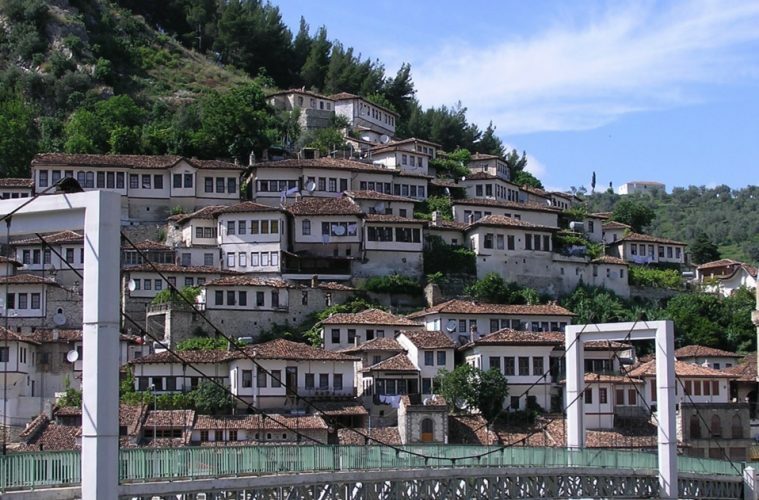 The town attracts new house owners who love and want to support the local characteristics and culture. Artists and people with an interest in history and cultural activities are looking at how to kindle new life within the old walls. And I want to come back again and again to see and to participate, and just to breathe its air, watching Mount Tomorri turn white with snow and bare again with the turns of the season.